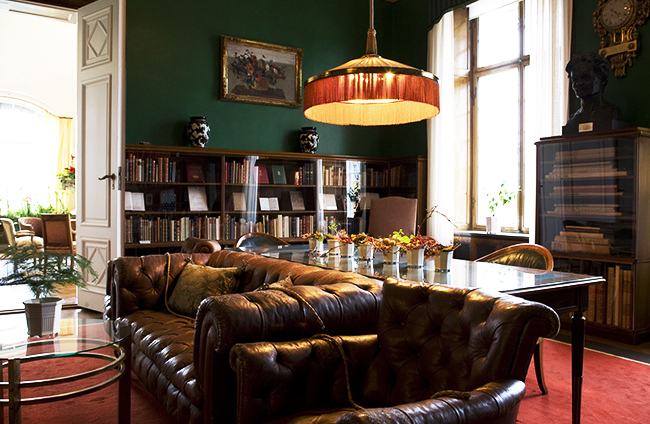 Lola A. Åkerström spotlights four of Stockholm’s private residences that are now museums. Known in English as The Hallwyl House, it was once home to Count and Countess Walther and Wilhelmina von Hallwyl, and the residence was completed in 1898 as their winter home. Located on No 4 Hamngatan, it was built between 1893-98 and designed by Isak Gustaf Clason (1856-1930), a renowned Swedish architect who was also the master craftsman behind Stockholm’s behemouth Nordiska Museet. When designing Hallwyl, Clason chose to combine Late Gothic Venetian and Early Spanish Renaissance styles to create a Mediterranean-style palace in the heart of Stockholm. Avid collectors of antiques, The von Hallwyls wanted to expand their current space to house all their collections as well as build an office for Walther to run the family business from. Architect Clason was given an unlimited budget to allow him free range to use the highest quality materials and most skilled craftsmen, and by the time Hallwyl House was completed in 1898, it had cost 1.5 million (SEK) to develop, making it one of the most expensive private homes in the country. 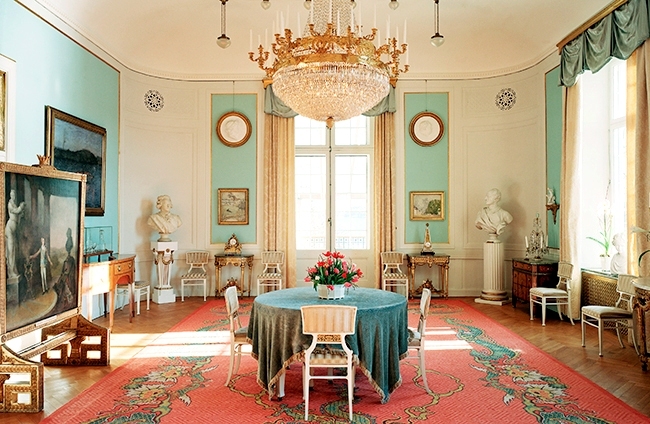 In 1920, The von Hallwyls donated the house and all its contents to the Swedish government so it could be converted into a museum; provided the state left its interiors and antique items intact. 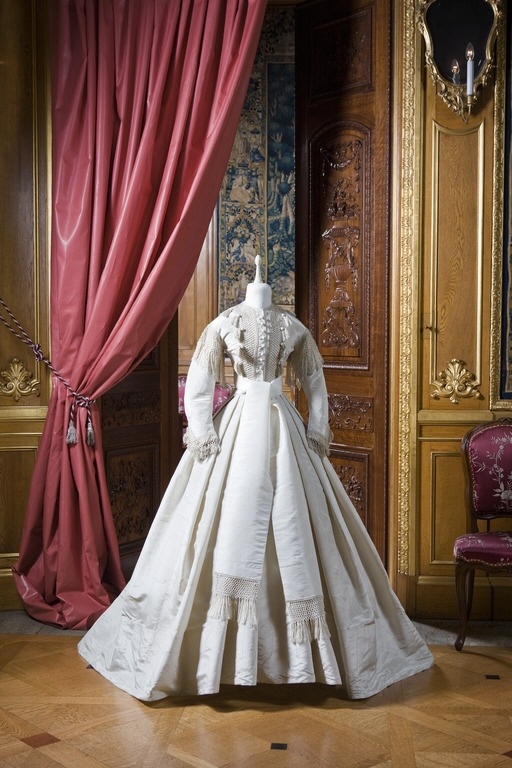 It was finally opened up to the public in 1938 and among its treasures are a piece of Count Walther von Hallwyl’s long beard and a slice of their wedding cake. During the first half of the 20th century, sculptor Carl Milles (1875-1955) was an iconic Swedish sculptor who nabbed so many coveted public commissions all over the world. He was known for his style of blending Ancient Greek, Roman and Christian mythology into his work. He used heavy, hard materials such as granite and bronze and paired the sculptures with light materials like water and air by making them the centerpieces of fountains or raising them high up in the sky. During the 1920s as Milles’ fortune grew with new sculpture commissions, he began acquiring surrounding buildings and properties to expand his space as well as built the museum’s signature terrace that displays some of his sculptures. In 1906, newly married couple and artists Carl and Olga Milles bought the property that sits on Herserud cliff on the island of Lidingö and their intention was to develop more space for their art studios. They brought in architect Carl M. Bengtsson to design the renovations which were completed in 1908 and over the years, the property was expanded to add in new studios in collaboration with Carl’s brother, architect Evert Milles. In 1936, Millesgården was made into a foundation and later donated to the Swedish state In 1950, its lower terrace was built with free-standing and fountain sculptures. 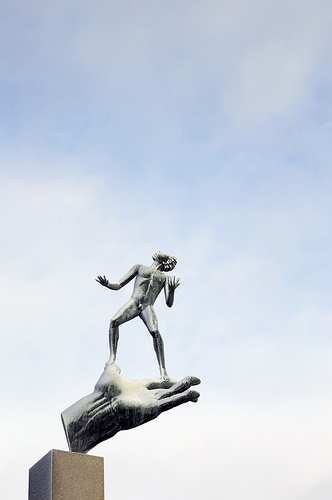 Carl Milles died in 1955 and his greatest creation is said to be Millesgården which he worked on over the span of 50 years. 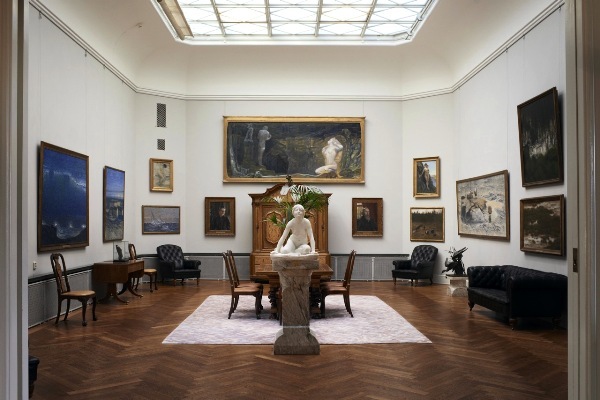 Located within the walled grounds of Blockhusudden on Djurgården,Thielska Galleriet is a fine art museum with late 19th to 20th century works by Eugène Jansson, Carl Larsson, Bruno Liljefors, Edvard Munch, August Strindberg, Anders Zorn, and other leading artists of that era. Completed in 1907, the impressive residence was designed by Ferdinand Boberg for financial banker Ernest Thiel who had an equally impressive art collection and needed extra space to showcase his prized art pieces. Ernest Thiel also lived in the house from 1907 to 1924. Characterized by spacious large rooms with glass roofs, its walls are covered with paintings and his collections include Nietzsche’s death mask and prints by Edvard Munch. It also houses painter Richard Bergh’s extensive archive – from letters, notes, and drawings, to drafts, photographs, and similar articles. The building’s exterior borrows from the Italian Renaissance era and the architectural traditions of southern Europe and Asia in terms of style and design. Its grounds are shaped in the form of undulating grass fields and Ernest Thiel’s ashes are buried underneath a rock right below Auguste Rodin’s sculpture “The Shadow” on the property. Also designed by Architect Ferdinand Boberg and located on Djurgården, Prince Eugen’s Waldemarsudde is one of the city’s most revered fine art museums. The son of King Oscar II and Queen Sophia, Prince Eugen himself was one of Sweden’s leading landscape painters and an avid art collector with works by Anders Zorn, Per Ekström, Hugo Birger, Carl Milles, Carl Eldh, and Auguste Rodin, to name a few. The museum’s palace building was built in 1903–1905 as a residence for Prince Eugen (1865–1947), and its gallery building was later added on in 1913. The palace and the interiors of its ground floor remain preserved as they were during Prince Eugen’s time. Its upper floor as well as the gallery building are used for both permanent and temporary art exhibitions. The surrounding park and gardens include sculptures by Carl Milles. In 1947, Prince Eugen left Waldemarsudde and his art collection to the Swedish state in his will when he died and the City of Stockholm now runs Waldemarsudde as a prime museum.